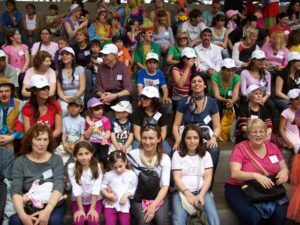 In 2002 Dr Matías Oleastro took the initiative of bringing together adult patients and parents of children with primary immunodeficiencies (PIDs) from different health centers with the intention of forming an NMO. It was not easy to know where to start! We were quite aware of the importance of joining IPOPI and decided to request membership in 2006, to empower our association and to get support for this long journey: to achieve proper care for all patients with PIDs in our country. 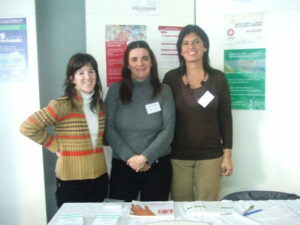 In the same year, we participated in our first IPOPI meeting in Budapest. We learned a lot from other organisations by exchanging experiences. We were proud to be the first Latin American organization member of IPOPI! The Jeffrey Modell Foundation also helped us a lot financially in those early days. AAPIDP received financial help to make the first brochures among many other projects. We work together with medical associations, the Ministry of Science and Technology and the Ministry of Health. Argentina is a very large country and we knew that the greatest difficulty for patients in terms of diagnosis and access to treatment was in the provinces. To overcome distances we began forming regional groups, working closely together with the immunologist doctors of each region. 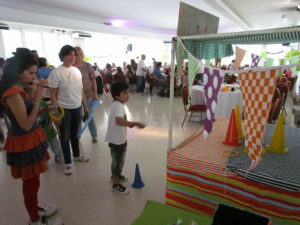 Nowadays we have regional groups in La Plata, Mar del Plata, Mendoza, Cordoba, Santa Fe, Rosario and Tucumán. Regional groups provide their members with the possibility to get to know people going through the same difficulties, offer them information provided by health professionals, legal assistance and psychological support. They also contribute by organising regional meetings, immunoglobulin infusion workshops and disseminating educational material not only to patients but also to health professionals. 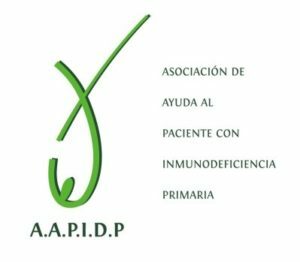 Our greatest achievement was to have been able to guarantee free legal assistance for patients and families with PIDs: law 3114 of the Government of the city of Buenos Aires provides free assistance for PID patients. AAPIDP is honoured that our president Roberta Anido de Pena was invited in 2007 to integrate the IPOPI Board and was afterwards elected as the representative of the LATAM region. Roberta and AAPIDP have helped neighbouring countries start national PID groups and guided them on how to get a correct diagnosis, often by coming to our country. We are working hard to achieve a smooth transition from paediatric to adult patients. Our major goal for the next few years is family counselling for mothers on reproductive options, and neonatal screening for SCID. Despite fulfilling 12 years of hard work, we do not have an office where we can do our daily work. We also hope to be able to continue growing, helping many families achieve a better quality of life and ensuring they know their rights so that they can demand them. We have worked together with other rare disease organisations since the inception of the group. 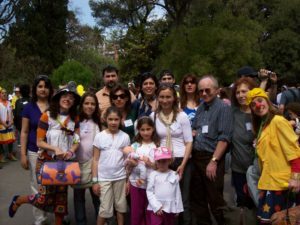 AAPIDP along with other Rare Diseases NGOs founded FADEPOF, Argentina’s Federation of Rare Diseases. Our joint greatest achievement was Law 26.689 which was enforced in 2015 and provides full coverage and assistance to patients with rare diseases. Currently, there are 11 Latin American PID organisations that make up the “IDEAL Group”, and we hope to be able to add many more! AAPIDP has a digital magazine called INFOINMUNO, a website and a Facebook group.